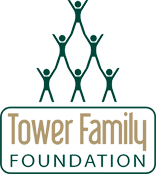 The Tower Industry Family Support Charitable Foundation seeks to raise awareness about the resources the Foundation has available to the eligible families of tower workers in the industry. Click on the website links below to read the latest news and updates from the Tower Industry Family Support Charitable Foundation. The Shirt Off Your Back….